Magnificent scenery, a bracing climate, a special place—ponderosa pines fringe the lowland valleys, and alpine spruce and fir stretch up toward the tundra. 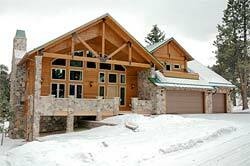 Treat yourself to vacation home unlike any other, in the beautiful Rocky Mountains. What makes this region so special is Rocky Mountain National Park, and the surrounding Arapahoe and Roosevelt National Forests. These public lands ensure opportunity for countless outdoor recreational or educational experiences. Whether you want to walk or hike, horseback ride, climb a peak, or simply sit by a stream and have a picnic, the Rocky Mountain landscape will serve as a magificent setting for your every pleasure and recreational need. A mountain home in Estes Park amidst grand vistas and abundant wildlife, provides the perfect opportunity to refresh body, mind, and soul. 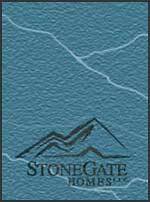 Stonegate Homes is a new home builder in Colorado Springs & custom builder of new homes in Estes Park, Colorado. Stonegate Homes has been designing and building exceptional custom homes for over 30 years.